Casavant Organ. Opus 174. Casavant Frères. Wood, metal, ivory, ebony. 1903. 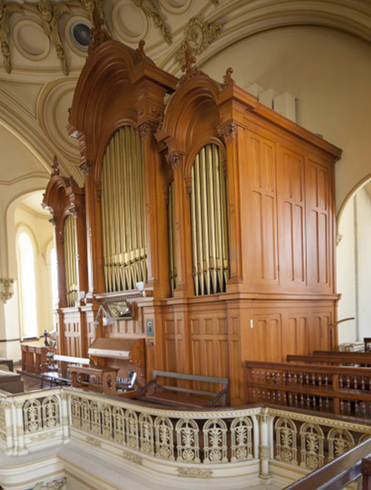 Built by the Casavant Frères, this very special organ was donated in 1905 by the “Amicale des Ursulines”, a group of former students. Before this, the nuns and boarders would play on smaller, portable organs. This gift, with its heavenly voice, has become the instrument par excellence used to accompany our ceremonies.